As someone who collects old cars, and keeps them up religiously, I am now replacing fuel-pressure regulators every 12 to 18 months. New cars are equipped with fuel lines that are resistant to ethanol damage, but with older cars, the worst can happen—you’re going down the road, and suddenly your car is on fire. Ethanol will absorb water from ambient air. In a modern vehicle, with a sealed fuel system, ethanol fuel has a harder time picking up water from the air. But in a vintage car, the water content of fuel can rise, causing corrosion and inhibiting combustion. It gets worse. Ethanol is a solvent that can loosen the sludge, varnish and dirt that accumulate in a fuel tank. That mixture can clog fuel lines and block carburetor jets. 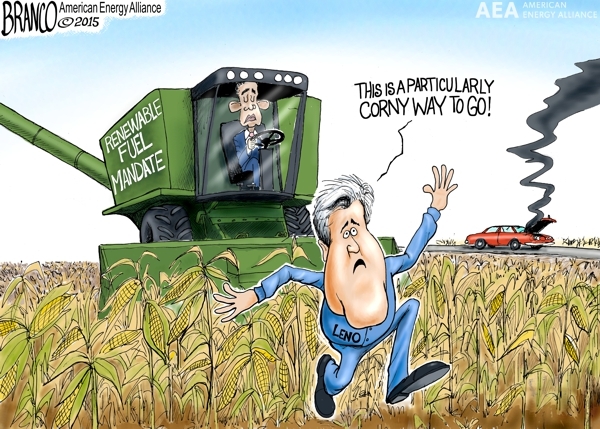 Blame the Renewable Fuel Standard. It’s time to End the RFS.